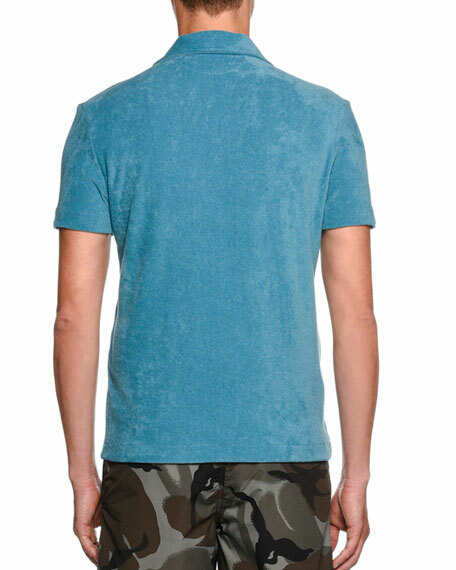 TOM FORD polo shirt in terry cloth. 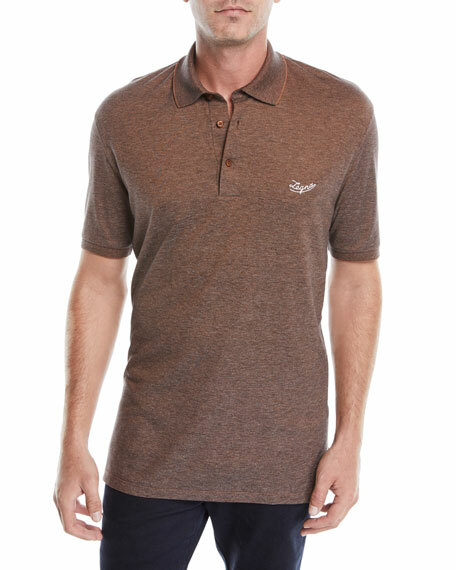 Brunello Cucinelli polo shirt with collar stripe detail. Spread collar; three-button placket. Short sleeves. Pullover style. Cotton. Made in Italy. 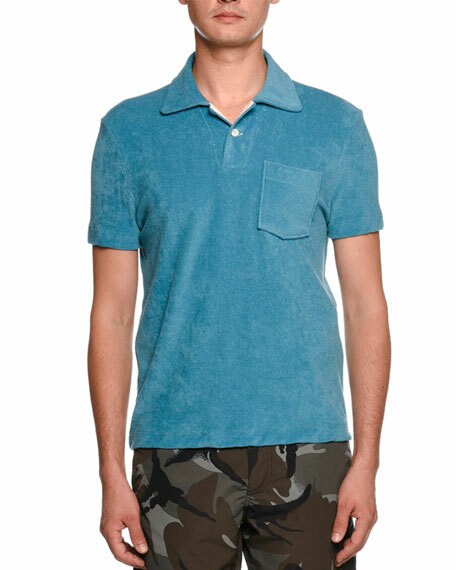 Ermenegildo Zegna polo shirt in solid jersey knit. 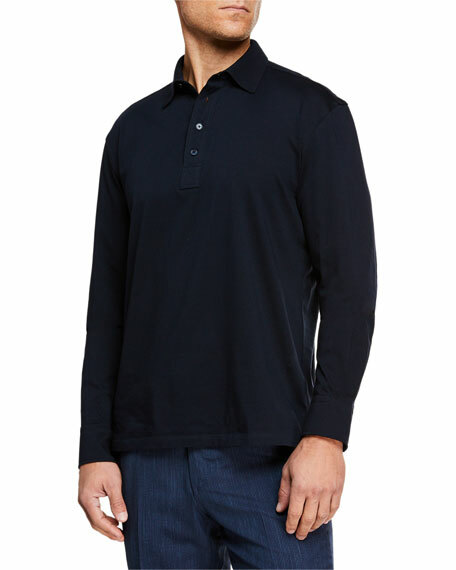 Spread collar; four-button placket. Long sleeves. Straight hem. Pullover style. Cotton. Made in Italy. 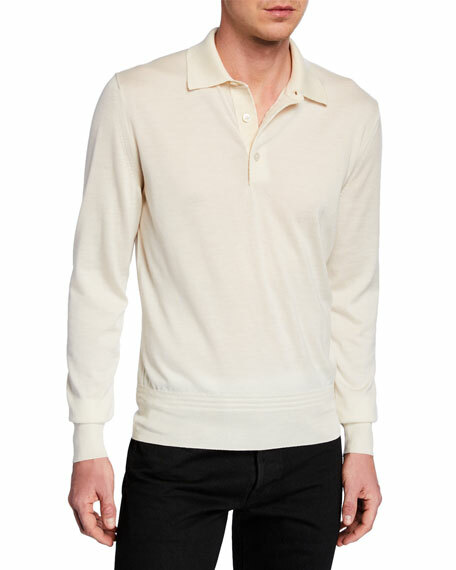 TOM FORD polo shirt in fine-gauge, Italian-spun knit with tonal seaming. Spread collar; three-button placket. Long sleeves. Ribbed cuffs and hem. Pullover style. Regular fit. Cashmere/mulberry silk. Made in Italy.